advintec 6D laser measurement is applied in unracking, gripper and part measurement applications. Typically, this is found in the automotive production. In gripper calibration applications it secures the precise measurement of grippers or gripped parts for precision handling, e.g. for power-train applications, such as engine and transmission parts. Changes in the gripper and part position are detected early and corrected inline. 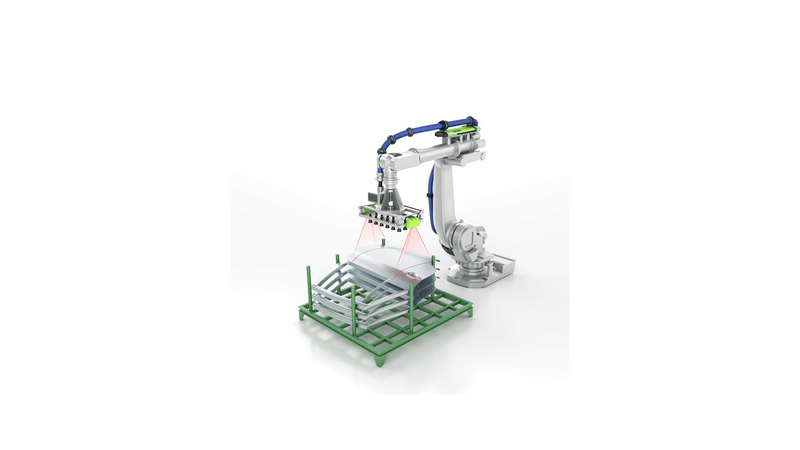 This avoids collisions and optimizes precision positioning. The integration and administration of the system is easy. Further advantages of the advintec 6D laser measurement are the increase of plant availability, the quality assurance of products, a smooth scalability and standardisation.